insure that wheels mounted on the same axle have the same diameters. b. 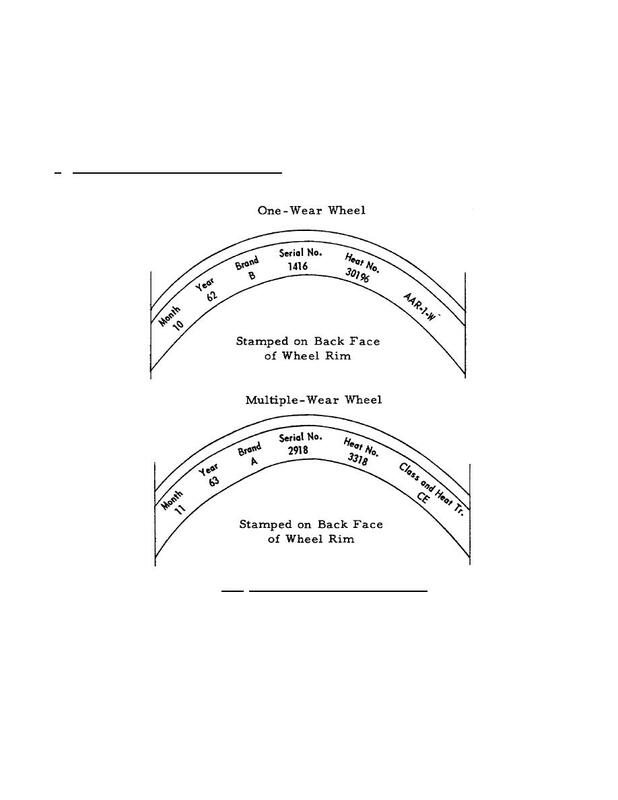 Wheel markings for wrought-steel wheels are somewhat different for one- and multiple-wear wheels. Markings for each are explained in the following subparagraphs and shown in figure 2.2. Figure 2.2. Markings on Wrought-Steel Wheels.